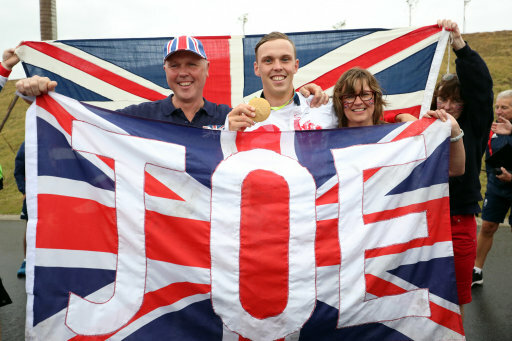 Team GB gold medallist Joe Clarke is going to be offered the Freedom of Stafford. The council say they are proposing he gets the honour - after getting the medal for Team GB yesterday in the canoe slalom kayaking event. It's Team GB's first ever gold in the K1. Clarke's wild celebrations were matched at the Whitewater Stadium by the vocal British contingent, with his friends and family leading the celebrations. Having stood on the podium as 'God Save The Queen' played out and done most of his media duties, the paddler found a few minutes to see his family, running up the bank to the waiting Union Flag-clad group. "Everybody is ecstatic,'' Clarke's father Shaun, a bricklayer from Stone, said. In all, 16 friends and family made the trip to Rio de Janeiro to see Clarke's tilt at glory. From Stafford and Stone Canoe Club colleagues to nine-year-old cousin Vincent, there was no lack of support in Deodoro. Clarke's brother Luke added: "It was worth every penny to get out here, for sure. Among the excitable group was his girlfriend Charlotte Eddery-Joel and her family. "I have been having a dream for the last three months that he was going to win a bronze medal - I didn't think that it was going to be gold,'' the 24-year-old said, beaming. "I feel like I am still in a dream and I am going to wake up soon - it is all so surreal. 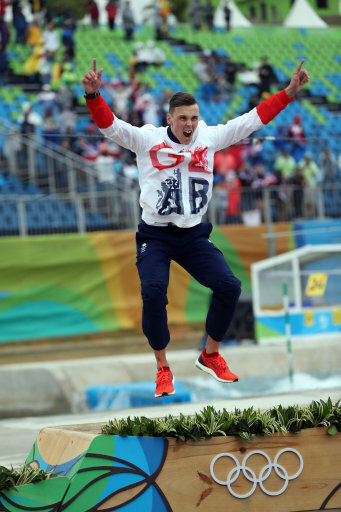 "Once he had won the medal I didn't care what colour it ended up being - I was just delighted. "It's intense - the amount of time he has put in to get out here to Brazil to train so many times this year and the amount of effort to get up early every morning. The Union Flag was also raised above Stafford's Civic Centre in recognition of Joe’s victory. He said: “This was an unbelievable achievement. Like the rest of the country I was cheering Joe on from the start to the finish line. And it was it was great to see members of his family were there in person to cheer him on. The council will now have to vote on the proposal.